Whether by truck, plane, or ship – and it doesn’t matter if it is in-house or offshore back office solutions – transportation and logistics are important for any business and real-time access to data is very crucial. With the popularity of this era’s smartphones and the Internet of Things (IoT), businesses can increase productivity in highly efficient and productive ways. With access to IoT solutions, your business can connect all devices through a cloud network that you and your team can access anywhere, anytime to provide solutions and needed information critical to operations. The transport and logistics industry is focused on getting the best out of the supply chain in order to get profits. Mobile devices give your business the ability to monitor equipment and processes from any location. This form of intelligence is important because it gives you real-time access to information coming from the entire supply chain. By shifting from the use of physical tools to digital applications, your business’ warehouse can capture and transmit important information through the cloud network, making sure they have the correct goods delivered to the right place at the right time. By lessening the need for human access and enabling more computer-based information sharing, businesses can boost productivity, efficiency, and accuracy. In the transport and logistics industry, fleet management plays an important role in managing time and effort, which leads to productivity. By making the right decision to shift from manual work orders to files sent through the cloud via mobile devices, technicians will be able to decrease turn-around times while enjoying a boost in accuracy. Aside from that, these technicians can easily forward relevant data to the head office through the cloud. Connectivity also allows head or satellite offices to interact with their technicians in real time – easily getting information on concerns such as repairs or technical issues that may happen en route. For field technicians, being able to check any issue with regards to vehicles or logistics is very crucial. The ability to check on these matters can be utilized to ensure the safety of staff and to lessen anything harmful to the products, which may cause a negative impact to the return of investment. Also, with real-time monitoring, customer care staff and drivers can easily answer customer service inquiries faster. Also, being capable of safely monitoring the equipment and workplace or route in real time, field service technicians may provide solutions if issues arise. With the Internet of Things, businesses can have access to monitoring wherever they are. 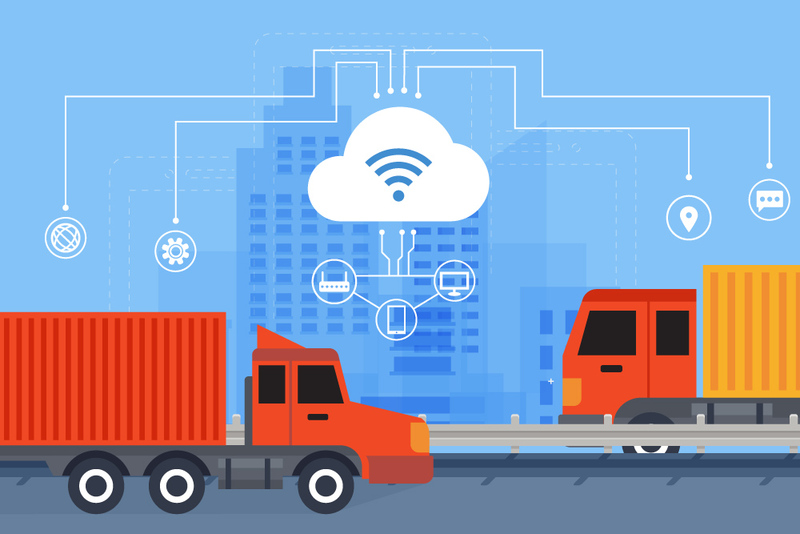 Leaps in mobile technology and the Internet of Things are in a great way changing the way transportation and logistics companies do their business. The information and data transported through the internet of things let businesses focus on inefficiencies in real time, thus improving their productivity efficiently like never before.